During hip replacement, a surgeon removes the damaged sections of your hip joint and replaces them with parts usually constructed of metal and sturdy plastic. It often is done when all other treatment options have failed to provide adequate pain relief. This artificial joint (prosthesis) helps reduce pain and improve function. Arthritis damage is the most common reason to need the hip replacement. Although a hip replacement is used to improve health, the procedure has risks that can impede a person’s ability to perform specific activities. If the method is not entirely successful, it can have disabling effects and may cause more problems than it solves. The Social Security Administration has an impairments listing manual (called the blue book), and a hip replacement is evaluated under 1.02 and 1.03. 1.02 – Major Dysfunction of a joint(s) – characterized by gross anatomical deformity and chronic pain with limitations of motion. You must have medically acceptable imagining of joint space narrowing involving one major peripheral weight-bearing joint. 1.03 Reconstructive surgery or surgical arthrodesis of a major weight- bearing joint, with the inability to ambulate effectively, as defined in 1.00B2b, and return to active ambulation did not occur or is not expected to occur, within 12 months of onset. If your condition is not severe enough to meet the requirements of the listing, you may still qualify for disability benefits. Claimants suffer from limitations in their daily activities following a hip replacement. For example, your ability to stand, walk, sit, bend, stoop, squat, lift and carry may be limited to such a magnitude that there are no jobs you can do, or at least no jobs that you know how to do, given your age, education, and experience. 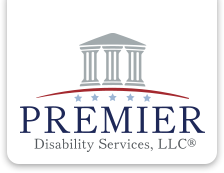 Premier Disability Services, LLC has extensive experience assisting claimants who are in need of a hip replacement or are experiencing complications from a hip replacement. If you are in need of a hip replacement or have recently undergone hip replacement surgery, please contact our office for a free evaluation a free evaluation.